I have bought this phone for personal use just 1 week before. IPhone 8 plus is a flagship killer. It&apos;s sleek and attractive look sure tends to turn eyes. It&apos;s expensive but it sure provides great quality. The design is very similar to predecessors. Camera quality is great as always. iPhone 8 plus is a flagship phone. It&apos;s one of the latest phones in the Apple market and it&apos;s sleek and attractive looks turn eyes. It&apos;s expensive but it provides incredibly great quality. The design is very similar to its predecessors. IPhone 8 plus is a great phone. The display is so rich and attractive. The looks are similar to that of the previous versions. Camera quality is incredibly fantastic. Internal storage is also huge enough. The price of the phone is a little on the higher side but still a great phone. 43 Pricebaba users have written their experience with Apple iPhone 8 Plus. If you own Apple iPhone 8 Plus, please do leave your feedback too. 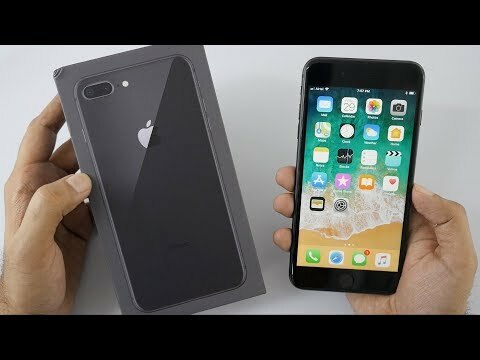 Lowest price of Apple iPhone 8 Plus price in India starts at Rs. 65,500 Apple iPhone 8 Plus is available on Flipkart at Rs. 65,500 and on Amazon at Rs. 66,990. Prices updated on 22nd April 2019. The iPhone 8 Plus sports a similar design as its predecessors. iPhone8 Plus offers a 5.5 inch Retina Full HD display with IPS technology. The screen resolution is 1920 x 1080 pixels at 401 PPI. Apple has added support for TrueTone Technology. Similar to iPhone 8, the screen is made up of ion-strengthened glass and comes with a 3D touch feature. The aluminium back design of previous generation iPhones has been swapped for glass panel in 8 Plus. Storage capacity of this device is 64GB. The iPhone 8 Plus packs a massive 2691mAh non-removable battery which is more than iPhone 8. Apple has improved the battery life which lasts for about a day without the need to be charged again. Battery life represents one reason why the 8 Plus is a better option than 8. It can charge up to 50% in 30 minutes.The big feature of iPhone 8 Plus is that it supports wireless and fast charging. As the previous generations, the phone includes TouchID fingerprint scanner for unlocking the phone. Other sensors include accelerometer, proximity sensor, barometer, gyrometer and ambient light sensors. Apple is appreciated widely when it comes to smartphone cameras. The iPhone 8 Plus comes with dual lens camera system with Optical Image Stabilisation. One is a 12MP wide-angle camera with f/1.8 aperture and the other is telephoto with f/2.8 aperture. The telephoto camera enables optical & digital zoom up to 10x. Apart from the camera system, the 8 Plus offers two new cool camera features: Portrait Mode and Portrait Lighting which gives it an advantage over the iPhone 8. It also offers a host of video recording features like 4k, slow-motion, timelapse and also 6x digital zoom. The front camera comes with a 7MP sensor.The phone comes with a single sim card slot and ships with 4G LTE, WiFi, Bluetooth and NFC features and an Apple lightning connector. The iPhone 8 Plus is powered by Apple’s latest and improved A11 Bionic hexa core processor. It is energy efficient and thus improves battery life. Everything runs smooth as it has got 3GB of RAM. It runs on the latest iOS11 with some minor new features. The phone is IP67 rated water and dust resistant. It comes in space gray, gold and silver color.